It is widely believed by animal behavior specialists that well-bred Great Dane dogs are docile by nature, provided that they are well-trained and socialized. Nonetheless, some Great Danes together as a dog pack in certain circumstances may act aggressively and inflict severe dog bite injury to people. This was exemplified in a July 2013 incident in which three Great Danes attacked a six-year-old boy in the Pueblo West, Colorado. Pueblo West is located in the Pikes Peak area of Colorado. According to online news reports, the boy had walked alone to the house of a nearby neighborhood friend. When he entered the property of his friend, three Great Danes living on the property suddenly appeared and attacked him. No one was home when the incident happened. Fortunately, the boy managed to escape from the dogs. The dogs were confiscated by animal control placed in quarantine with the Humane Society in Pikes Peak. Although unusual, serious dog bite attacks by Great Danes on children have been noted. According to animal behavior specialists, when this happens it is frequently because of territorial protective tendencies. Given what has been reported about circumstances in the current instance, it is likely that this was the motivational impetus for the attack by these dogs on this boy. Territorial protective tendencies are likely to become exacerbated and facilitated socially in a pack of dogs, particularly when the dogs are in a familiar territory. Social facilitation of aggression been noted by animal behaviorists in a wide range of mammalian species, including domestic dogs. Moreover, in the incident under review, considering that this six-year-old boy was alone, and assuming these Great Dane dogs acted together as a group, the boy was lucky he was not killed. Dog bite fatalities by a packs of dogs are not unusual, and a well-publicized dog bite fatality on a human by a pack six pit bull dogs recently happened in Little Rock, California. 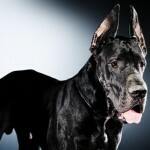 Note, however, fatal dog attacks by Great Danes are rare occurrences. Dog bite statistics show that fatal dog maulings are often inflicted by male pit bull type dogs and Rottweilers acting alone. Great Dane snatches child from mother in Southern CaliforniaRichard Polsky, PhD has worked with Colorado attorneys as a dog bite specialist in civil and criminal matters. He available for assignment on cases that involve issues such as provocation, negligence and behavioral tendencies in Great Danes.